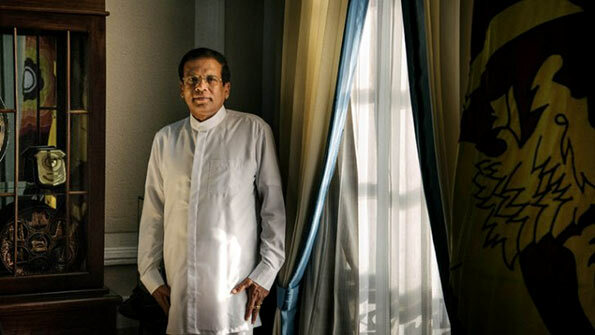 The International New York Times in an article titled “Pursuing peace gently in Sri Lanka” published on 12 May 2016 discussed President Maithripala Sirisena’s commitment to promote reconciliation, accountability and human rights in the country. “President tries to forge a political solution to decades of ethnic strife”, states the New York Times in its article. Nobody doubts Mr. Sirisena’s sincerity, it added. Gandhi type administration and ideas want do in Sri Lanka’ president. You have already given so many concessions to minority’s at the expense of Sinhalese people. USA and Britain praise you for these actions that benefit them. Lots of Sinhalese don’t understand the damage you do to this country. I don’t think you know the damage you do to this country.